Scene75 wants to save YOU from boredom - with fun and games for all ages, all year round, including arcade games, go-karts, laser-tag, bouncing and more! Looking for something fun to do? 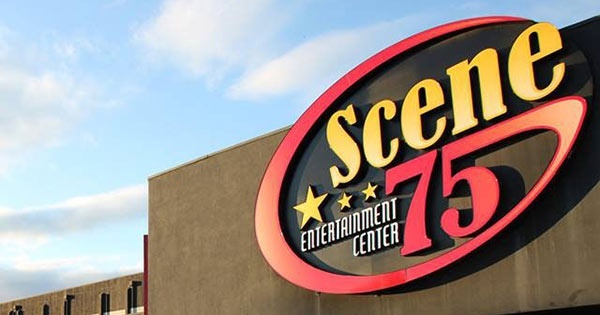 Scene75 Entertainment Center is the largest indoor entertainment facility in the country, was named as one of the top three family entertainment centers in North America, and it's right here in Dayton! Scene 75 has 12 fabulous indoor attractions and games that offer plenty of fun for all ages, as well as a full-service bar and restaurant. Attractions, opening hours & prices subject to change, please check website, particularly around holidays. Confirm today's opening times. Play the hottest new arcade games on the market! A truly immersive experience that allows the player to feel as if they are inside the game. Do you have what it takes to send your opponents and friends into a spin? Find more events like "Indoor Fun at Scene75"